In September 2018, exactly one year from now, negotiations on a new partnership between the European Union and the African, Caribbean and Pacific group of states (ACP) will start. The so-called ‘umbrella’ option is now on the table, calling for a single all-ACP agreement with separate regional components for the ‘A’, the ‘C’ and the ‘P’. 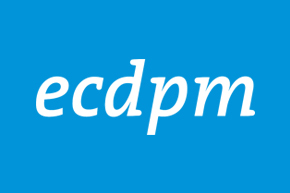 This ECDPM brief calls on the negotiating partners to reverse the order of this debate, discussing regional partnerships first and an all-ACP umbrella second. The Kenyan Supreme Court’s decision to annul the election results has raised the issue of the rule of law as a key element for true democratic change in Africa. By looking at the recent wave of elections, including Rwanda, Angola and Kenya, Luckystar Miyandazi underlines the need to concentrate on the legal and political frameworks supporting those elections. ECDPM presented the study “Options and opportunities to make food value chains more environmentally sustainable and resilient in Sub-Saharan Africa”, commissioned by the UNDP Private Sector Unit and the Global Environment Facility (GEF) during an Expert Validation Workshop in Debre Zeyit, Ethiopia. For more see: http://ecdpm.org/events/food-value-chains-environmentally-sustainable-resilient-sub-saharan-africa/. Conflict management under the African Peace and Security Architecture | Europe’s response to violent conflict: Shifting priorities in a changing world?